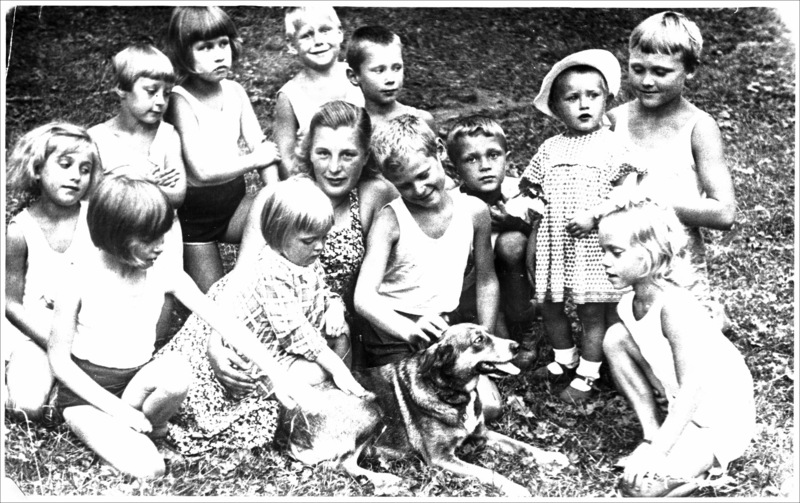 This photograph was taken in summer camp outside Moscow c. 1951-2. My mother is third from left with the dark bob and grumpy face. I find the composition of the picture very interesting, it captures a moment comprised of several layers- on the one hand the focal point is the dog, and most children are looking in his direction, on the other hand those kids who don’t look at him are equally intriguing, and this is before you mention the seductive look on the teacher’s face, it makes you wonder who took this picture….